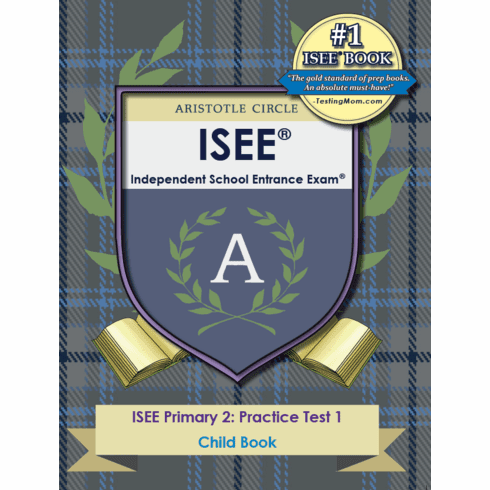 Aristotle Circle’s Independent School Entrance Exam® (ISEE®) Primary 2 Practice Test is for children applying to the 2nd grade. It prepares your child for the ISEE® through practice and familiarization with the ISEE® sections and question types. Our full-length Practice Test will help maximize your child’s test-taking confidence and scores. You can also assess your child’s performance and see which of the four ISEE® sections need improvement: Auditory Comprehension, Reading Comprehension, Mathematics Achievement, and the Writing Sample.